The psalms are about refugees searching for a safe haven, leaders who abuse their power, people who place fear above courage, or courage above fear. Topical themes, for thousands of years already. 150 Psalms regards the Psalms as a mirror of society: great themes from 3,000 years ago are still relevant today. During 150 Psalms, all 150 psalms will be performed, each one written by a different composer: from Josquin to Rossi and from Gretchaninov to Schumann. Contemporary composers will write especially for the project, like the American composer David Lang and the Lebanese composer Zad Moultaka. From 20 – 22 March 2018, 150 Psalms is in Brussels as part of the Klarafestival by the name of The Psalms Experience. 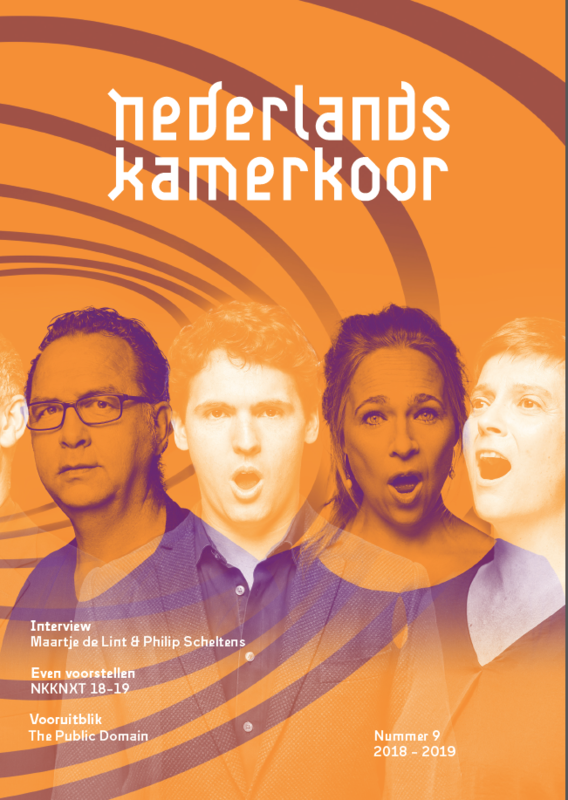 The Nederlands Kamerkoor, Det Norske Solistkor and The Tallis Scholars will each give 2 concerts, in which a total of 75 psalms will be performed. 150 Psalms premiered at the Festival Oude Muziek, September 1 and 2 in TivoliVredenburg, Utrecht. Nederlands Kamerkoor, initiator of 150 Psalms, invited three of the world’s best vocal ensembles to join them in this project: The Tallis Scholars, Det Norske Solistkor and the The Choir of Trinity Wall Street. Together they performed 12 concerts with all 150 psalms in each weekend. Lectures, debates, workshops and an interactive exhibition together formed a peripheral program that placed the Psalms at the centre of current affairs. An undoubted highlight of each day was provided by a Nobel Prize winner who reflected on the major themes from the Psalms, as seen from the perspective of his or her field. In November 2017, 150 Psalms went to New York by the name of The Psalms Experience. Like in Utrecht, the 4 choirs performed all the 150 psalms in twelve concerts. The Psalms Experience was part of the Lincoln Center’s White Light Festival and the project started there with a panel discussion.